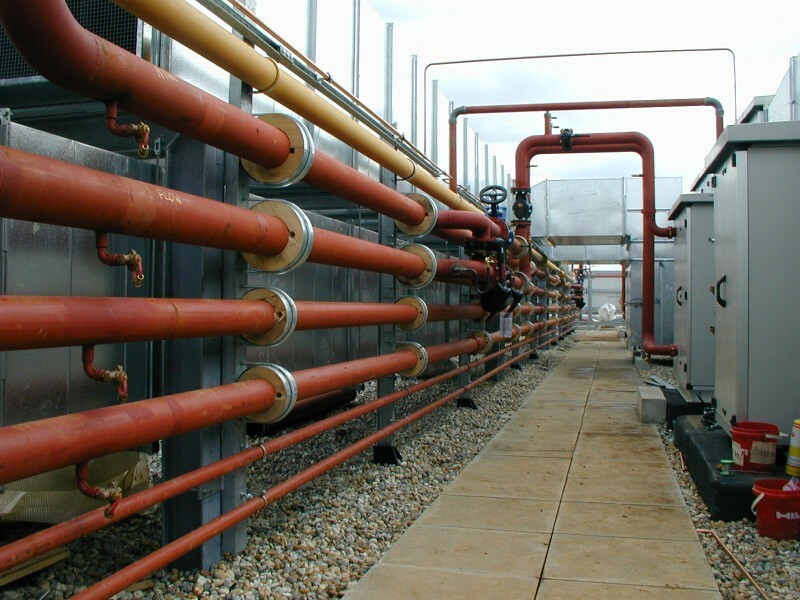 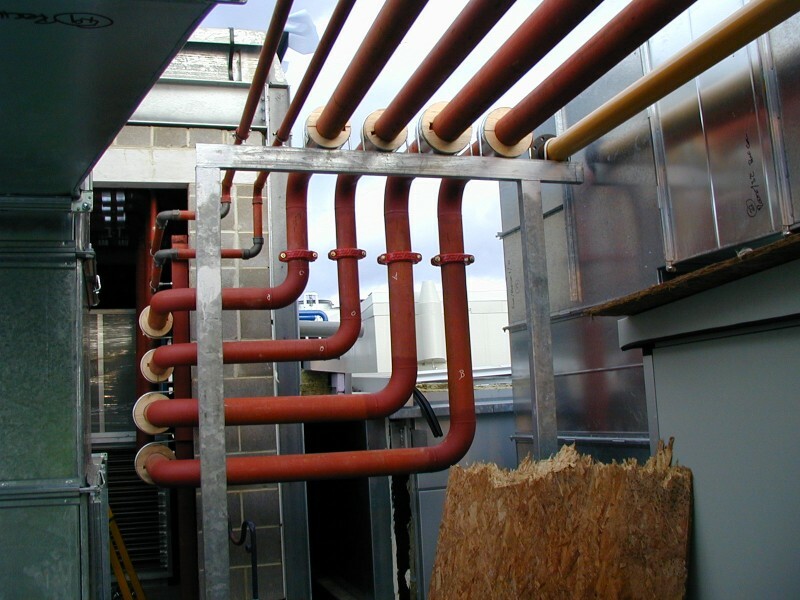 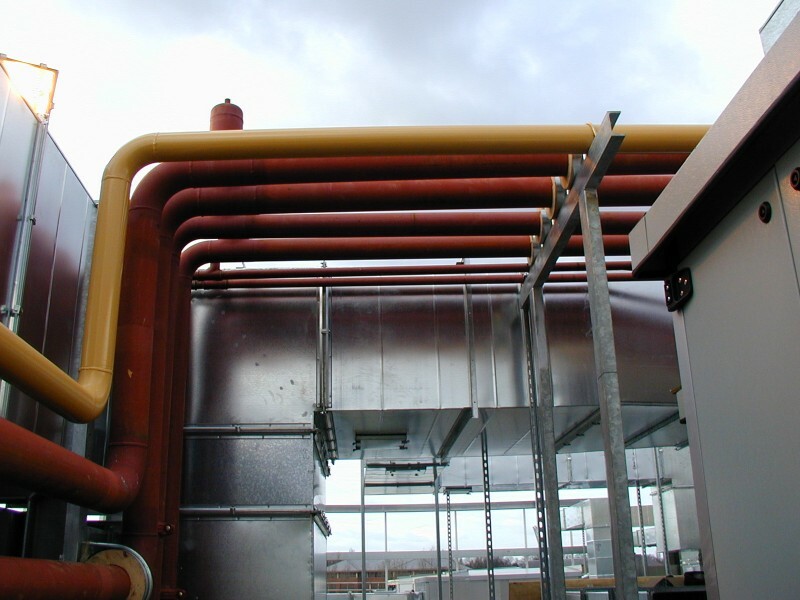 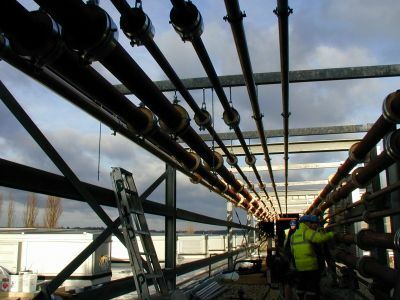 The plant rooms at Roche were centralised on the roof requiring some major pipe runs radiating around the building perimeter. 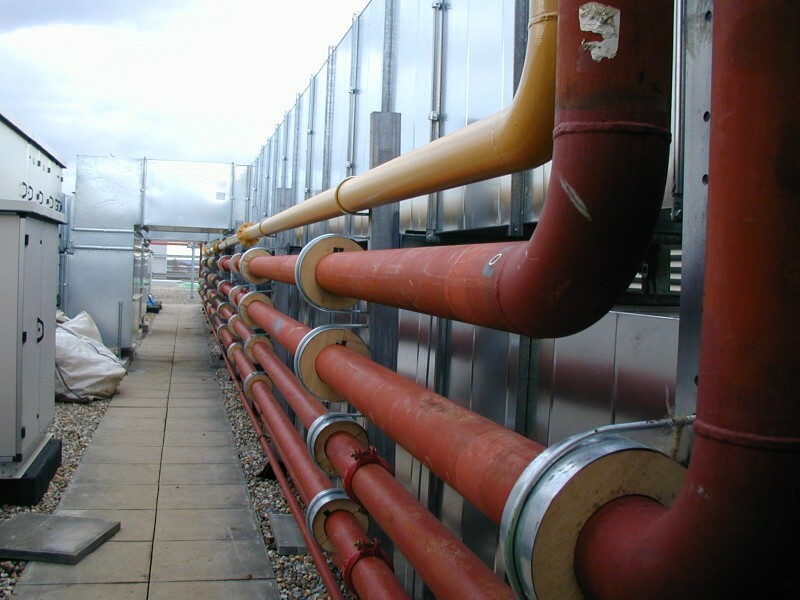 Running from the main Plant Room areas around the roof perimeter to serve main Air Handling Units 3 and 4 at Roche. The other side of the roof with similar pipework arrangement to serve Air Handling Units 1 and 2.